Star Wars has truly captured the hearts of millions and pulled in people from so many generations. As the films continue to grow more people become fans – whether a new fan, a lifelong fan, or one that has rediscovered the love of Star Wars, there is a film for every age. When Easter rolls round it is the perfect time to show off your passion with Star Wars Easter eggs. This Lego Star Wars Easter Eggs Tutorial is perfect to show off how much of a fan you are! Here is your guide for how to Decorate your Lego Star Wars Easter Eggs. 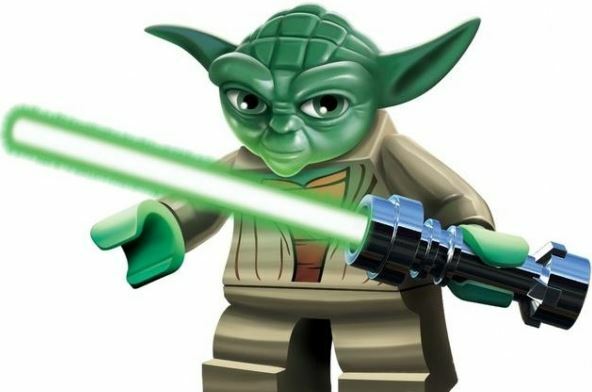 With this step-by-step guide you will be able to re-create all your favorite LEGO Star Wars characters including Yoda, Darth Vader and Luke Skywalker. There are plenty of Star Wars characters to choose from…will it be Yoda, C-3PO, Darth Vader, R2-D2 or Darth Maul? 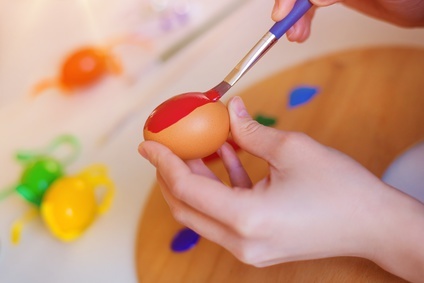 Eggs are pretty small so it is best to use very small brushes for your eggs. For the really detailed ones like R2-D2 a felt-tip pen is helpful. You are now ready to get going. Don’t rush straight in, take your time and make sure that each color is dry before you add any extra details. If you want to protect the paint and give a cool shine to your eggs, you can coat your Star Wars themed Easter eggs with PVC glue. STEP #8 Don’t stop at one! Don’t let your character get lonely, make a whole bunch! You children will love re-creating their favorite scenes. You now have an awesome set of LEGO Star Wars inspired Easter eggs to show-off to all your friends. Would your kids love these Lego Star Wars Easter Eggs? Wow, those are so cool! I don’t know if I could pull it off but I might just give it a try. My son would love it! I know Ellie! They are pretty awesome and would be SO fun! OMG I LOVE those. I wish I had seen this before Easter because I totally would have made them! These are awesome! I have to make these asap, I don’t care that easter is over. I need these in my life! Wow, those are fantastic. They are works of art. It does look like it would be complicated but not with these directions. Oh these are just the best. The stormtroopers are my favorites! I think I’d have to use a stencil to make them look that good! That’s an amazing Easter Egg idea! Who wouldn’t love Star Wars, right?! I bet it was a hit with the kids! That’s really very creative! These are so cute! Boys would love this, anyway i’ve seen the latest movie of star wars and it’s really great! These are awesome! Dyeing eggs has really changed since I was a kid. There are so many great ideas. Best ideas ever! I have a huge Star Wars lover in the family and these eggs are cute! Love easy tutorials! Those are awesome! My son is a huge Star Wars fan. He would love this. My kids are crazy fans of Lego Star Wars & they are going to love this wonderful idea right away. Though we have gone past Easter already, I would still love to get this done for my kids & they are going to so excited. oh, my goodness! Look at those details. Pretty impressive and cute! Thanks for sharing. Oh my goodness! These are so creative and awesome! Great job! I do not yet have kids but I do love the star wars franchise and this tutorial is on point. These are so adorable! I have never seen anything like this. Such a cute idea! Thanks for the tutorial.